Mississippi collision repairers have overhauled their lawsuit against some of the major auto insurers, providing the kind of specifics it seems were lacking in an earlier draft dismissed by a Florida judge. 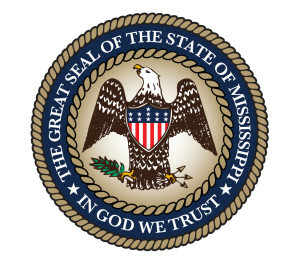 In the new version of Capitol Body Shop et al v. State Farm et al filed in late March, attorneys for the auto body shops indicate the kind of regional variation in labor rates insurers deny exists in Mississippi, point out examples of steering and argue that it’s impossible for all the insurers to be matching State Farm’s rate decisions without collusion. To avoid legal repetition, a federal judicial panel has given this and about two dozen other states’ lawsuits by collision repairers to Middle District of Florida Judge Gregory Presnell, though each states’ own laws will apply to the decisions if they differ from Florida’s. Magistrate Judge Thomas Smith has been tasked with reviewing the cases and making recommendations to Presnell. In February, Presnell followed Smith’s recommendations and ordered the case dismissed with a chance to refile all allegations except for one of “quasi-estoppel,” which he also killed for good in Florida’s A&E Body Shop Inc. et al. v. 21st Century Centennial Insurance Company et al. He gave no sign he disagreed with Smith’s reasons for dismissal — which primarily centered on too little detail to support the claims under state and federal law. But the new Mississippi lawsuit gives those kind of specifics in spades, appearing to meet the kind of criteria Smith implied would be necessary. The Mississippi repairers did so, giving examples of customers who were allegedly required by insurers to use a certain shop in violation of another part of the law. Another example alleged in the lawsuit: A senior named Gail Hampton told State Farm she wanted to take her car to another plaintiff, Alexander’s Body Shop, but the insurer told her she had to first get an estimate at an approved shop in either Jackson, Miss., or even further away in Louisiana. She said she wanted to go to Alexander’s, which was closer, but State Farm said she had no choice. Ultimately, she let the car be repaired at the estimating shop because of the hassle in getting it there. “Ms. Hampton would have consummated the business with Alexander’s but for State Farm’s illegal insistence she had to take her vehicle to another shop for an estimate because Will Alexander, owner/operator of Alexander’s Body Shop, is Ms. Hampton’s nephew,” the lawsuit states. The lawsuit also highlighted alleged steering by Shelter, which it called particularly telling as Shelter had already ended its DRP. “The only reason to steer or attempt to steer customers from Plaintiffs’ shop is to intentionally interfere with and harm Plaintiffs’ businesses,” the lawsuit states. The shops also argued that insurers were ducking the notion of paying for a car to be “properly and fairly” repaired as discussed in the law. Mandating aftermarket or recycled parts — the latter against the advice of the repairer — and refusing to cover certain procedures (such as the infamous feather, prime and block and denib/finesse) weren’t meeting the statute. “While Defendants have certainly paid the least amount they could manage for given repairs, whether that amount was sufficient to pay for a proper and fair repair is in controversy,” the lawsuit states. The specific steering claims also would seem to satisfy Smith’s demand for more details of how insurers committed tortious interference with business relationships. Mississippi is less restrictive in Florida in general — you don’t need a specific business relationship to have been disrupted — but steering allegations like the Mitchell example would seem to meet even the Florida version. The lawsuit says GEICO even provides an incentive to promote DRP shops that seems like it would create the temptation to steer. That seems to support the Sherman Antitrust Act claims, which Presnell has said require more than a vague “this looks fishy” coincidence (though coincidence is admissible) or businesses independently following suit to stay competitive (“lawful parallel conduct,” the Supreme Court calls it). The lawsuit gives example of insurers seemingly admitting they follow State Farm’s rates, which would mean they know them. The lawsuit also gives examples from around the country to bolster the case (and since some of the defendant insurers are national companies, this seems fair). “For instance, in Oklahoma, (a USAA employee) told Blevins Paint and Body that labor rates would be going up shortly because the new State Farm survey results had just been sent out and it would take USAA a couple of weeks to put them in motion,” the lawsuit states. The lawsuit also criticized the prevailing rates State Farm establishes and its alleged shifting market boundaries to suit its needs — actions which the shops said ripples across the insurance industry. As for the market rates themselves, the shops question the seemingly large swaths of the state to which single rates from State Farm apply. It gives examples of shops 360 miles apart in Ocean Springs, Miss., and Southaven, Miss., with different posted rates being told their regions had identical market rates. Granted, State Farm’s paint and materials rate is equal to the Southaven shop’s and would give the Ocean Springs shop a $3 raise. But the Southaven shop would take a $2/hour pay cut on body and refinish, and the Ocean Springs would lose $4/hour under State Farm’s criteria. The new complaint was filed March 21. The last activity in the case was April 9, when insurers filed separate unique motions to dismiss the claims or joined one of the others.